Brace yourself for the astonishing scale of transformation in China's new industrial revolution servicing the world's consumer demand Manufactured Landscapes - a feature documentary by Jennifer Baichwal MANUFACTURED LANDSCAPES is a feature length documentary on the world and work of renowned artist Edward Burtynsky. Burtynsky makes large-scale photographs of 'manufactured landscapes' -- quarries, recycling yards, factories, mines, dams. He photographs civilization's materials and debris, but in a way people describe as "stunning" or "beautiful," and so raises all kinds of questions about ethics and aesthetics without trying to easily answer them. 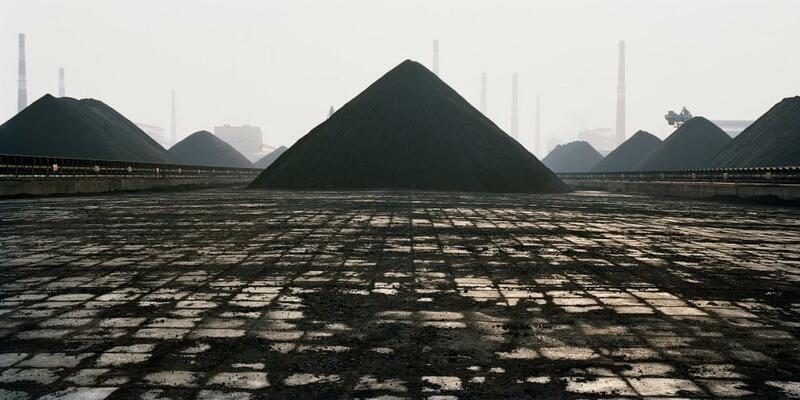 The film follows Burtynsky to China as he travels the country photographing the evidence and effects of that country's massive industrial revolution. Sites such as the Three Gorges Dam, which is bigger by 50% than any other dam in the world and displaced over a million people, factory floors over a kilometre long, and the breathtaking scale of Shanghai's urban renewal are subjects for his lens and our motion picture camera. Shot in Super-16mm film, Manufactured Landscapes extends the narrative streams of Burtynsky's photographs, allowing us to meditate on our profound impact on the planet and witness both the epicentres of industrial endeavour and the dumping grounds of its waste. What makes the photographs so powerful is his refusal in them to be didactic. We are all implicated here, they tell us: there are no easy answers. The film continues this approach of presenting complexity, without trying to reach simplistic judgements or reductive resolutions. In the process, it tries to shift our consciousness about the world and the way we live in it. 2006, Canada, 90 mins.